Click here for more on our 100th Anniversary. 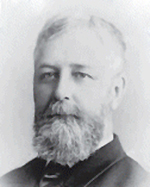 In 1913, Ontario lawyer, politician and judge Sir William Meredith tabled the Meredith Report. In doing so, he laid the foundation for the system of workers’ compensation in Canada. A century later, workers’ compensation legislation across the country is guided by the principles of that report. Canadian workers’ compensation organizations are also very likely to be involved in workplace injury prevention and in supporting workers and employers in return to work, and mandates vary across the country. But the Meredith principles remain a common thread throughout the Canadian landscape of workers’ compensation. A century after their introduction, we honour the Meredith Principles, as well as the idea that workplace injury wasn’t acceptable, and that Canada’s workers and employers deserved a better way. See Sept 12, 2013 News Release. Find out more about the Meredith Principles below. The concept of workers’ compensation had its origins in Germany, Great Britain and the United States between the late 1800’s and early 1900’s. In Germany, Chancellor Otto Von Bismarck introduced a compulsory state run accident compensation system between 1884 and 1886. This initial system was financed by workers and employers. In the United States, between 1908 and 1915, several states enacted compensation legislation. The state of Washington enacted an exclusive mandatory system based on collective liability. As compensation was given state jurisdiction, the US developed a mixed bag of WCBs, mandatory insurance, self-insurance and combinations. Workers’ compensation in Canada had its beginnings in the province of Ontario. In 1910, Mr. Justice William Meredith was appointed to a Royal Commission to study workers’ compensation. His final report, known as the Meredith Report was produced in 1913. The Meredith Report outlined a trade-off in which workers’ relinquish their right to sue in exchange for compensation benefits. Meredith advocated for no-fault insurance, collective liability, independent administration, and exclusive jurisdiction. The system exists at arms-length from the government and is shielded from political influence, allowing only limited powers to the Minister responsible. What are the Meredith Principles? They can be expressed in different ways. However, there are five basic concepts that underlie most workers’ compensation legislation in Canada today. No-fault compensation, which means workers are paid benefits regardless of how the injury occurred. The worker and employer waive the right to sue. There is no argument over responsibility or liability for an injury. Security of benefits, which means a fund is established to guarantee funds exist to pay benefits. Collective liability, which means that covered employers, on the whole, share liability for workplace injury insurance. The total cost of the compensation system is shared by all employers. All employers contribute to a common fund. Financial liability becomes their collective responsibility. Independent administration, which means that the organizations who administer workers’ compensation insurance are separate from government. Exclusive jurisdiction, which means only workers’ compensation organizations provide workers’ compensation insurance. All compensation claims are directed solely to the compensation board. The board is the decision-maker and final authority for all claims. These principles are a historic compromise in which employers fund the workers’ compensation system, and injured workers in turn surrender their right to sue their employer for their injury. These principles are the foundation upon which the majority of Canadian workers’ compensation legislation is built. Sir William Ralph Meredith was an Ontario lawyer, politician and judge. In 1910, he was appointed to head an Ontario royal commission to study workers’ compensation systems throughout the world and to make recommendations. In 1913, he presented his final report to the Ontario Legislature that outlined a trade-off in which workers relinquished their rights to sue an employer if they are hurt on the job in exchange for no-fault, secure, workers’ compensation benefits. The principles of Sir William Meredith’s report are regarded as the foundation of workers’ compensation in Canada. The idea that workplace injury was unacceptable, and that workers deserved a no fault compensation model with some measure of security built in has its origins in the late 1880s in Europe. Canada’s journey begins in 1910, when Meredith is commissioned by the Ontario government. Once his report is tabled in October 1913, the principles become law in that province within the next year. Most jurisdictions in Canada follow suit over the next few decades. For chronological timeline, see below. The Employers’ Liability Act in Great Britain was introduced. The Workmen’s Compensation for Injuries Act of Ontario was introduced (and was essentially an employer liability act). The first true Workmen’s Compensation Act in Great Britain was passed in 1897 (as opposed to the previous employer liability legislation). The passage of B.C.’s Workmen’s Compensation Act came in 1902 but it did not come into force until 1917, when the Workmen’s Compensation Board was created. In the United States, between 1908 & 1915, several states enacted compensation legislation. The state of Washington enacted an exclusive mandatory system based on collective liability. As compensation was given state jurisdiction, the US developed a mixed bag of WCBs, mandatory insurance, self-insurance and combinations. Workers’ compensation in Canada had its beginnings in the province of Ontario. In 1910, Mr. Justice William Meredith was appointed to a Royal Commission to study workers’ compensation. Sir William Meredith’s final report, known as the Meredith Report was produced in 1913. The Meredith Report outlined a trade-off in which workers’ relinquish their right to sue in exchange for compensation benefits. Meredith advocated for no-fault insurance, collective liability, independent administration, and exclusive jurisdiction. The system exists at arms-length from the government and is shielded from political influence, allowing only limited powers to the Minister responsible. Ontario passed the Workmen’s Compensation Act, creating the Workmen’s Compensation Board (later renamed the Workplace Safety and Insurance Board). Nova Scotia’s first workers’ compensation legislation was in 1915. On January 1, 1915 Ontario’s Workmen’s Compensation Act was proclaimed. The Workers Compensation Board of Manitoba was founded in 1916 with the passing of The Workers Compensation Act. The Workers Compensation Board of Manitoba officially opened in 1917. The Workers’ Compensation Board of Nova Scotia opened its doors for business Jan. 1, 1917. There has been a workers’ compensation system in the Yukon since 1917 that has protected workers and employers in the territory against the result of workplace injuries and illnesses. The Workers’ Compensation Board of Alberta was set up in 1918. The Alberta Workers’ Compensation Act was enacted in 1918. The first Workers Compensation Act in New Brunswick was passed and became law in 1918. The Association of Workers’ Compensation Boards of Canada (AWCBC) was founded in 1919 as a non-profit organization. It was established to facilitate the exchange of information between Workers’ Compensation Boards and Commissions at a time when workers’ compensation law, policy and administration were in their infancy. There were six founding members: Ontario, Nova Scotia, British Columbia, Manitoba, Alberta, and New Brunswick. The AWCBC held its first convention/congress in December, 1919 in British Columbia. The Quebec Workmen’s Compensation Commission was created in 1928, the year the first act respecting industrial accidents was enacted in Quebec. In Saskatchewan, the Workmen’s Compensation (Accident Fund) Act was assented to on February 2, 1929 and came into force for the payment of benefits on July 2, 1930. The Saskatchewan Workers’ Compensation Board became a member of the AWCBC in 1929. In Saskatchewan, the report of the 1928 Anderson Commission led to the establishment of the Saskatchewan Workers’ Compensation Board in 1930. Quebec’s Commission de la santé et de la sécurité du travail became a member of the AWCBC in 1931. On March 24, 1949, PEI passed workers compensation legislation “An Act Respecting Workmen’s Compensation”. The Workers Compensation Board of Prince Edward Island became a member of the AWCBC in 1949. Newfoundland’s Workplace Health Safety and Compensation Commission became a member of the AWCBC in 1950. The Workmens’ Compensation Act was passed by the Newfoundland legislature in 1951. The original legislation was primarily a pension system based on physical disability. The Northwest Territories and Yukon Territory joined as members of the AWCBC in 1974. Alberta, British Columbia, Manitoba, Saskatchewan – Workmen’s changed to Workers’ Compensation Board. Prince Edward Island – Workmen’s changed to Workers’ Compensation Board. The WCB of the NWT was created in 1977, modeled after the Meredith Principles. Yukon – Workmen’s changed to Workers’ Compensation Board. Newfoundland, Nova Scotia – Workmen’s changed to Workers’ Compensation Board. Ontario, New Brunswick – Workmen’s changed to Workers’ Compensation Board. In Quebec in 1985, the legal landscape underwent another major reform. An Act respecting industrial accidents and occupational diseases, which complements An Act respecting occupational health and safety, replaced the existing act respecting industrial accidents and the act originally passed on compensation for victims of asbestosis or silicosis in mines and quarries. The AWCBC has coordinated an annual Workers’ Compensation College/Learning Symposium for members since 1988. On June 23, 1996, the AWCBC assumed full responsibility for administering the National Work Injury Statistics Program. In Ontario, with the passing of the Workplace Safety and Insurance Act, the WCB is abolished; its functions are absorbed by the Workplace Safety and Insurance Board. Public Forums were held in 2001, 2003 and 2005 to foster greater public understanding of, and dialogue about, workplace health & safety and workers’ compensation. The British Columbia Workers’ Compensation Board changes its name to WorkSafeBC. The Workers’ Compensation Board of Northwest Territories and Nunavut changes its name to ‘Workers’ Safety and Compensation Commission’. The Workplace Health, Safety and Compensation Commission of New Brunswick changes its name to WorkSafeNB. 2013 was the centennial of the Meredith Report which was tabled October 31, 1913 with legislation passing the following year, similar legislation was passed in every provincial and territorial jurisdiction between 1915 and 1977. 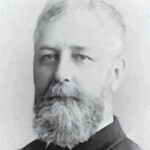 Sir William Meredith was appointed by the Government of Ontario to study workers’ compensations systems around the world and make recommendations for the Ontario context. The Meredith principles (no-fault compensation, collective liability, security of payment, exclusive jurisdiction and administration by independent boards) became the basis for workers’ compensation systems in Canada and the United States and still remain so today. The Workplace Safety and Insurance Board of Ontario (WSIB) celebrates its 100th year. WCB Manitoba partners with Workplace Safety and Health to create SAFE Work Manitoba. The Workplace Health, Safety and Compensation Commission of Newfoundland and Labrador changes its name to WorkplaceNL. Three Quebec government organizations that deal with rights in the workplace merge into one, called the Commission des normes, de l’équité, de la santé et de la sécurité du travail, or CNESST. Workers’ compensation boards in British Columbia (WorkSafeBC), Nova Scotia (WCB NS) and the Yukon (The Workers’ Compensation Health & Safety Board) celebrate their 100 year anniversaries. The province of Alberta celebrates 100 years since it opened its workers’ compensation board, WCB-Alberta. AWCBC’s 100th Anniversary provides an opportunity to promote the role that the Association plays as the central source of information related to workers’ compensation in Canada as well as being the national liaison between Boards/Commissions.